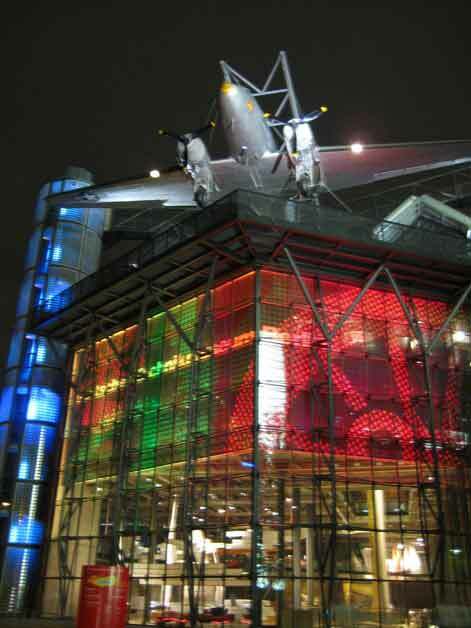 The Deutsches Technikmuseum, founded in 1982, stands in a long tradition of scientific and technical collections. Many of these had their home in Berlin for more than 120 years, and some of these collections have been taken over by the Deutsches Technikmuseum. A great deal, however, was destroyed during the Second World War, or moved elsewhere. the site of the former goods yard of Anhalter Güterbahnhof. The large museum park – containing two windmills, a water mill, a smithy and a brewery – is also an oasis of green. The contemporary architecture of the new extension for the aviation and maritime collections fits perfectly into these surroundings to form a fascinating ensemble. The “raisin bomber” suspended from the façade makes the extension a prominent urban landmark. The museum presents a broad spectrum of old and new technology and demonstrates the various historical connections to culture and everyday life. Daily demonstrations, visitor activities and guided tours make the Deutsches Technikmuseum an interactive learning experience. The museum also has a well-stocked library on the history of technology as well as historical archives. 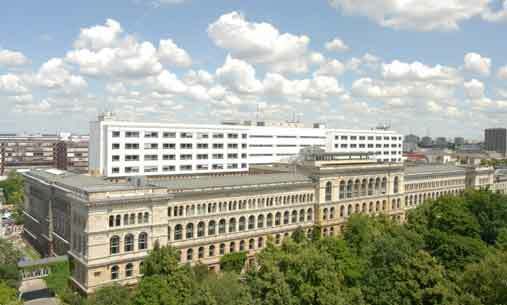 The internationally renowned Technische Universität Berlin is located in Germany’s capital city at the heart of Europe. Our activities focus on building a distinctive profile, exceptional performance in research and teaching, excellent qualifications for our graduates and a forward-looking administration. The TU Berlin strives to promote the dissemination of knowledge and to facilitate technological progress by adhering to the principles of excellence and quality. Strong regional, national and international networking partnerships with science and industry are an important aspect in this regard. Our research and teaching endeavors can be characterized by a broad spectrum of academic disciplines, ranging from engineering science to natural science, planning science and economics, as well as the humanities and social sciences.